I’m sure by now many of you have started the latest World Event in Star Wars: The Old Republic. If not, you should logon to the game and check on the Fleet for news about the Chevin. There is an entire quest line with rewards, quests that have you running around looking for small items, solving puzzles and possibly dispatching a few “Shady” NPCs. Be sure to check out Gaddock’s first video guide for the Grand Acquisitions Event. Stay tuned for more here on Corellian Run Radio! While many of us are not feeling the same about SWTOR as we did this time last year during Gamescom, but then we did not have a game to play either. All that said not all the news is bad. During EA’s press conference Matthew Bromberg, current general manager at BioWare Austin, spoke to those in attendance and to those watching via the net. He talked of course about the Free-To-Play Option coming this Fall and how Cartel currency will be used in-game. This was thought to be it, but there was more…the rumored Terror from the Beyond Operation WILL be out next month. This is a great shot in the arm to more endgame content, not a complete fix, but the more content the better. Matthew also went on to talk about the upcoming new Warzone called Ancient Hypergates. He did not give an exact time for its release, but I am going to say October. That would give them a piece of new content each month to the rumored November timetable for the Free-To-Play Option to go live. Check out the SWTOR segment from the EA press conference. Now that was a short clip, as you can see below, but the thing I took away from it was not the new content, which is great. The thing that caught my eye was the very end, a new commercial for the new changes to SWTOR. Why is this important? One, it is EA spending more money on this game that is a good sign they are not ready to just float on what they have, and it is a new strategy of appealing to huge masses and it also makes mention of a “war.” Hmm now maybe this is Jason being “Mr. Optimistic,” but isn’t this eluding to possibly even more content…say the next chapter. What do you think about the Gamescom news? What are your thoughts about this new marketing approach? Let us know your thoughts below in the comment section. There is a new Community Round-Up posted on the official SWTOR website. There are several server events going this weekend and a few that will be reoccurring or happening over the next few weeks. Check the list below for thread and details on each event. We also get a look at some of the posts found in the SWTOR Subreddit. Several involve the World Event that is going on. The posts on the event range from tips, information and guides. One particular post is showcasing a Vanguard outfitted in complete Sandpeople armor and Bowcaster looks really impressive. Besides weapons and armor you can also get a pet and a special speeder. Check out the links for images displaying both of them. 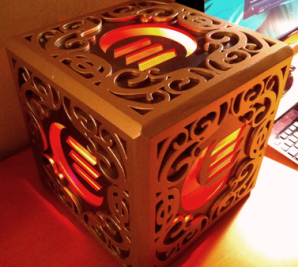 Finally, there is a special post about a very cool case mod for a computer. That case looks amazing! Not sure, but I think the case building received a +10 awesome PC stat bonus. Be sure to also check out the look inside some of the threads taken from the official forums. There are example threads ranging from one about Dulfy’s latest guide and a Heroic World Boss list complete with locations suggested level and images. 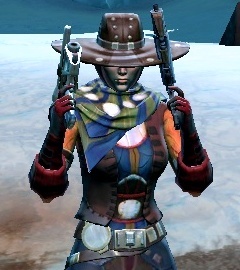 The last two threads focus more RP, and for Maer, fashion in SWTOR. One thread is asking people what they named their ship. Honestly, I haven’t done that yet, but it is said that it is “bad luck” to sail or fly in this case a ship without a name. What have you named your ship? Let us know in the comment section below. As you can see by the two images we are talking outfits. 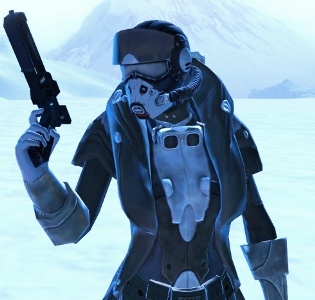 Like I said the other thread is about SWTOR fashion, specifically dealing with the Smuggler class. I’m not sure if Maer has a Smuggler, but either way, now you and Maer have some images to check out. Star Wars tractor beam technology discovered! “Bazinga,” as Dr. Sheldon Cooper would say, but that is not entirely a joke. Physicists, according to an article posted on R&D Mag, have discovered beams of light can manipulate or move tiny atoms. 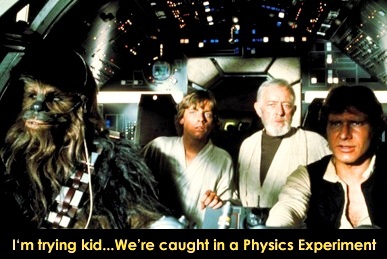 Now while this is no way ready to start pulling in a TIE Fighter let alone the Millennium Falcon, it is hopefully going to make strides in creating low-power quantum optical devices and better ways at detecting gravitational waves. Most of the article is pretty technical, but it is pretty fascinating to think about beams of light having the power to move matter. So for all the Big Bang & Star Wars fans, why not give the article a read and then you can better explain it to me. While you are waiting in line for your turn to click on that event crate or maybe the kids are back to school and you are enjoying some quiet time drinking some coffee why not make the most of the break and catch up on this past week here at Corellian Run Radio. After you finish reading the articles or listening to the podcast, please be sure to leave a comment on our staff’s articles. We really love your feedback and discussions. We also would love to hear what you would like to see on the site. A great group of Star Wars fans that make up the many branches of the 501st are at it again. This time members of the legion are making last minute touch ups and set to unveil a life-size Rancor. 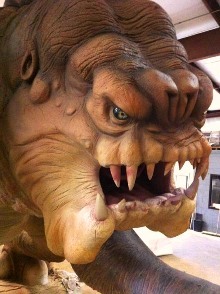 The Rancor, named “Roxy,” gets her appearance from that scene in the Return of the Jedi film. So for those of you heading to Celebration VI in Orlando, be sure to look for this iconic statute, just make sure if you want to get near it that there is a bone or something to pry into its mouth…oh and maybe a huge structure to drop on its head or better yet bring a camera with a really good zoom lens. For more information on the build, head over to this article on Technabob’s blog by Conner Flynn. There is a video at the bottom that shows the process they went about to construct “Roxy” the Rancor. Yoda believed the training of a Jedi to use the Force needed to start at a young age. Uncle Milton seeks to use the idea “learning the ways of the Jedi” to interest young Jedi and Sith to try The Force Glove. It will help, through the use of magnets, young and old to manipulate the Force and move objects. This will help those wanting to master Force Push and Force Pull. 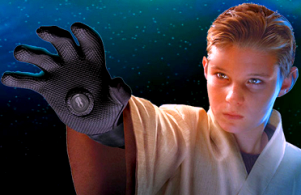 If you have a young Padawan or even an “older” Master that has a birthday or just because, look at purchasing them The Force Glove. Irony is a funny thing, there is a “Choking Hazard” for this item…duh you never know when you might tick off the wrong Force user lol. That is it for this week’s HoloNet Links. Please leave us your thoughts in the comment section below. Enjoy the Grand Acquisitions Event…what are those crafty Chevin up to?